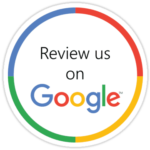 Utah Covers is extremely proud of the trusted and reliable reputation that we have built in Utah and surrounding areas, over the years. We are passionate about providing you with high-quality products and exceptional customer service. We are committed to your satisfaction. Have questions about finding the perfect cover for your hot tub or swimming pool? Contact us today or browse our useful FAQ below. There are a few obvious signs that you may need a new cover for your hot tub or your pool. If your cover has become very heavy and difficult to move, it is most likely time for a new cover. Because of the weather and moisture, hot tub covers can easily become waterlogged. Unfortunately, there is no remedy except to purchase a new cover. If your cover is torn, ill-fitting, or ripped, it may also be time to replace your cover. To view our range of hot tub covers, please click here. What kind of cover should I purchase? At Utah Covers, we have a wide range of covers to meet your needs. Whether you are in search of a cover for your hot tub or swimming pool, we are guaranteed to have exactly what you are looking for Contact us here today for more information. What are the benefits of having a cover for my pool or hot tub? Safety: Keep your pets and kids safe by using an automatic pool cover or spa cover for your swimming pool or hot tub. Our covers carry a large amount of weight and are impenetrable in the event of an emergency. Give yourself peace of mind by purchasing one of our covers today. Savings: Using a spa cover for your spa or hot tub allows you to greatly save on your energy bills. Other than turning down the temperature, having a well-fitted and durable spa cover will help you to cut down on your energy costs. To find out more, please click here. Protection: Protect your pool or hot tub from the elements with our durable covers. All of our spa and pool covers provide protection from the weather and debris, allowing you to maintain the cleanliness of your outside space and protect your pool or spa. All of our covers at Utah Covers are made of the highest-quality materials. We are committed to providing you with the best covers on the market today. In order to maintain your cover, it is recommended that you keep it clear of snow, ice, rain, or debris whenever possible. It is also important to let your hot tub or spa breathe by lifting the cover off your tub at least once a week for an hour at a time, allowing for the moisture and chemicals below your cover to dissipate. Wipe down your cover, clean it with water, and use a cover conditioner to better maintain your cover.